Tom Rowland is a Hamilton News reporter. Future Destination Playgrounds in Hamilton have been axed from Mayor Andrew King's proposed budget for the new 10-year plan. The budget, which councillors will consider on December 6, includes $3 million for upgrading 14 neighbourhood playgrounds and $10.6 million for renewals at existing Destination Parks, but it does not include building any more destination playgrounds. Destination playgrounds are larger playgrounds than the neighbourhood playgrounds. They are unique to Hamilton and offer more accessibility to those with disabilities. Seven have already been constructed at locations such as the Hamilton Lake Domain, but the original playgrounds of the future plan had 15 planned. 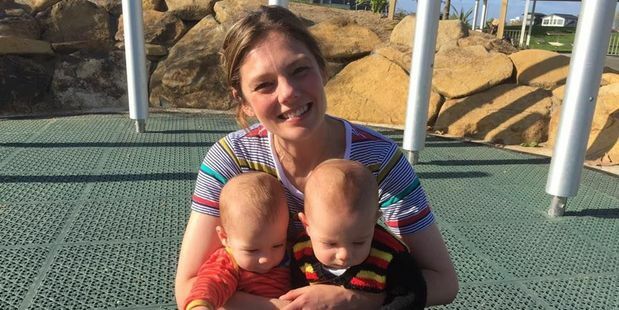 One mother, Angela Cuming, has been advocating the benefits of the playgrounds for several months and why council needs to commit to building more. Mrs Cuming has three children aged under three and when she heard of the news that council could propose a cut to the playgrounds earlier in the year she created the Facebook page, Save Hamilton's Destination Playgrounds. This attracted more than 500 followers, including Councillors Rob Pascoe and Angela O'Leary. On Tuesday, Mrs Cuming heard about Mr King's proposed budget and did not know whether to laugh or cry. "The only neighbourhood playground I've ever been to is the one in Steele Park, which, to be perfectly honest, is more like a mini destination playground. "Think about it. A growing city, all these new houses he has planned, a CEO he pays $440,000 a year, a balcony that's getting a new $25,000 balustrade, and our Mayor can't find it within himself to build new playgrounds for our children." Mrs Cuming said these playground are not just slides and swings. They were an escape for herself and her children from the house. "Last year I found myself at home with three boys aged three and under. The days were so long, and so hard. I would be in tears because it was so hard to take them anywhere but they needed a place to play and be kids, and I needed to get out of the house with them." It is not just the escapism which is attractive to Mrs Cuming though. Destination playgrounds are disability-friendly and accessible. They are free, with each playground being unique and providing numerous facilities which has allowed families like Mrs Cuming's to stay at the parks all day. "The one at Hamilton Lake, for instance, has loads of water features for kids to play with and learn from. For me, I find that the playgrounds have a really great educational element to them." "I can't speak for other families but I do know that when I have taken my boys to a smaller, neighbourhood playground they are bored within five minutes and just want to go home. When I take them to a destination playground we can be there for hours and I have to bribe them with a chocolate frog to get them back into the car and home again." Mrs Cuming believes money for the playgrounds is the cost of creating a better future for young families in Hamilton. "The end product is a safe space where mums who are otherwise stuck at home all day with their children can go and meet and talk to other mums and form support networks. "The end product is happy and healthy children."